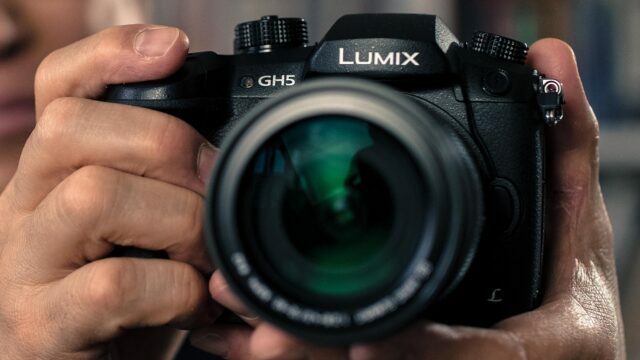 In addition to the new GX8, Panasonic today also announced the new Lumix FZ300, a superzoom camera that’s capable of 4K video recording. On the front of the camera is a 24x lens (the equivalent of a 25-600mm in 35mm terms) that boasts a maximum aperture of f/2.8 across the entire zoom range. Paired with the max ISO of 6400, the lens allows users to capture fast moving subjects and low-light scenes with clarity. At the core of the dust- and splash-proof camera body is a 12.1-megapixel, 1/2.3-inch CMOS sensor powered by the Venus Engine image processor, a combo that can capture 4K video at 30/24p. There are also features that allow you to capture 8MP photos at a whopping 30 frames per second. The back of the FZ300 features a 1.44MP electronic viewfinder with a 100% field of view and a 4:3 aspect ratio. The EVF sits above a 3-inch, 1.04MP swiveling touchscreen. When the Panasonic FZ-1000 was announced, it was obvious to everybody that Panasonic was going for the Sony RX20′s jugular… metaphorically speaking. It was cheaper, could shoot 4K and had a longer (albeit darker) lens. Well, it seems Sony is ready to fight back, and soon, with a 4K-capable RX20. The rumor broke over on Sony Alpha Rumors, who was told by an anonymous source that the RX20 would use the same 20.1MP sensor and 24-200mm f/2.8 lens as the RX10, but feature 4K video, 120fps capability at 720p and the ability to shoot the XAVC-S codec. According to this source, the camera will be announced in mid-October for $1,300 USD — what the RX10 originally cost before the price dropped to $1,000 post-Panasonic FZ-1000 release — while the original RX10 will remain on the market after an additional $100-$200 price drop.